If you are always told you should become a professional baker because your pies are so good, or if you actually are a professional baker, then you should sign up to compete in the Friends & Farmers Second Annual People’s Choice Pie Contest, to be held Aug. 8 from 11:00 a.m. to 4:00 p.m. The event will be part of Pennsylvania Organic FarmFest, held Aug. 7-8 at the Grange Fairgrounds. PLEASE NOTE: You must get your entry form in by 5:00 p.m. on Friday, August 7. 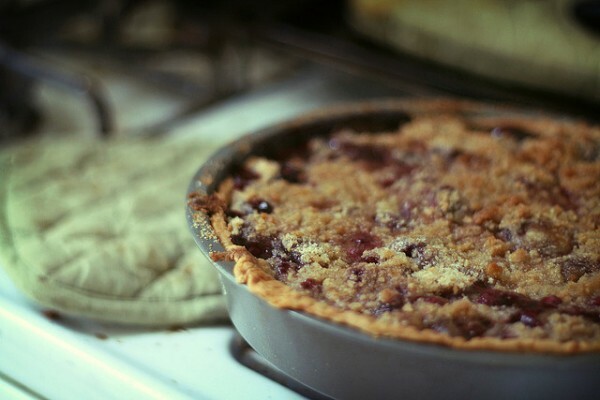 - Pies must be totally from scratch, no store-bought crusts. - Each baker can enter as many pies as they wish, but a separate entry form must be completed for each pie. - Due to no refrigeration at the Grange Fairgrounds, no cream pies. - Due to allergies, all contestants must submit a recipe. A complete list of rules, and how to enter, can be found here. Who will judge the pies? Well, you, if you come out to FarmFest. Attendees to FarmFest will judge the pies based on appearance, filling taste, crust taste, and overall impression. Extra points will be awarded for each local ingredient used in the pie. There will be prizes awarded to all winners of each category, and an overall prize will be awarded. Remember, entry forms must be completed by Aug. 7 at 5:00 p.m.